Even though it’s being bombarded from all sides, Apple’s iPad 2 is still sitting pretty atop the ladder as it lays claim to being the tablet to rule them all when it comes to sheer popularity and market share. Still, that doesn’t prevent consumers from looking elsewhere for a reasonable alternative – like the Amazon Kindle Fire, with its budget cost and supreme integration of Amazon’s services. Call it great news for those iPad users out there, the latest update for the Amazon Kindle app for iOS brings forth one new feature that will greatly expand the app’s functionality. 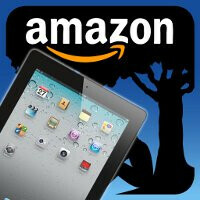 Specifically, version 2.9 of the Amazon Kindle app for iOS grants iPad users to the Amazon Kindle Fire’s magazines and newspapers collection – amounting to over 400 titles. Naturally, you’re able to either to buy individual issues, or simply purchase a subscription. Granted that the iPhone version of the app doesn’t offer this neat feature, it’s still nonetheless getting its own fair share lovely items – like being able to email documents to the app using a special email address. Plus, they can now open PDF files from directly within Mail or Safari. So if you tire of waiting for the mailman to deliver that new magazine, you may want to consider using the Kindle app for iPad to get them instantly – rather than waiting some time.